A handful of healthy soil is dark and rich in color, crumbles easily and smells fresh, not sour. All of these attributes are because of high levels of organic matter. Organic matter provides many benefits for your garden, so adding organic matter should be a regular part of your routine for maintaining plant and soil health. According to the University of Minnesota Extension defines organic matter as a soil amendment containing carbon. Organic molecules break down and rearrange to provide new molecules that plants need. In addition, organic molecules sometimes have a slight electrical charge, allowing nutrients to stick to them electrochemically and become available for plants to use. According to "Rodale's Ultimate Encyclopedia of Organic Gardening," the ideal soil should contain 5 to 6 percent organic matter. A high percentage of organic matter helps soil to hold onto beneficial matter while simultaneously deterring the bad substances. In addition to holding onto nutrients, organic matter helps the soil to better retain water. Stabilized organic matter can hold six times its weight in water and is so effective in defending plants against drought that the Food and Agriculture Organization of the United Nations recommends incorporating organic matter into soil to protect against droughts and, ultimately, famine. 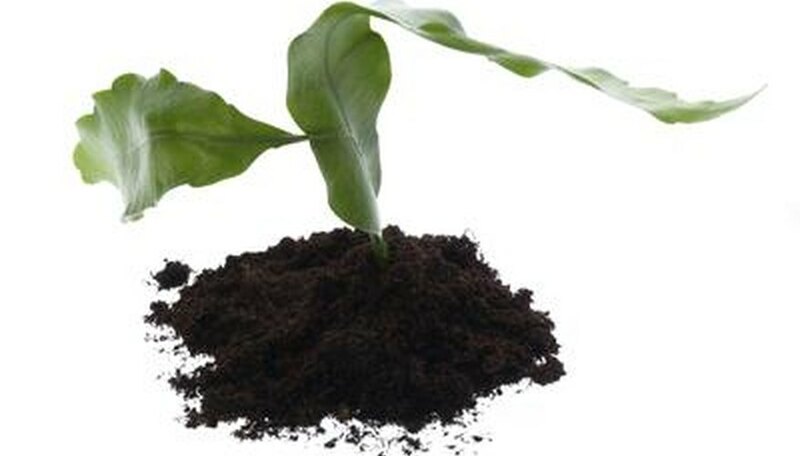 Organic matter also encourages beneficial soil microorganisms that out-compete pathogens, kill harmful nematodes and reduce the likelihood of nutritional deficiencies. Dead plant material supplies organic matter in nature, restocking the supply of organic compounds and nutrients as the plants break down. You replicate that process in your garden by using mulch and compost or tilling organic material like mulched leaves into the top few inches of soil. Turning spent plants under the soil in the autumn provides an excellent source of organic matter that mimics the process in nature. Organic matter breaks down faster in some places and in some climates than others. Heat and humidity speed up the process of decomposition, so if you live in an area that is frequently hot and humid, you will need to add more organic matter more often in order to maintain healthy levels. Turning organic matter into the soil is easily done with a rotary tiller. However, the Oregon State University Extension cautions that using a tiller causes organic matter to break into smaller pieces and decompose faster, reducing the organic matter content of your soil. Especially in climates where breakdown is faster already, working organic matter gently into the soil by hand prevents its rapid loss through decomposition. "Rodale's Ultimate Encyclopedia of Organic Gardening" also cautions gardeners not to overdo the addition of organic matter, which may cause spikes in soil microbes that compete with plants for nutrients.